Mom lives in an apartment attached to our home. What a blessing she is to us! 💖Here is the little gazebo that Vincent built for her this year using an old picket fence. 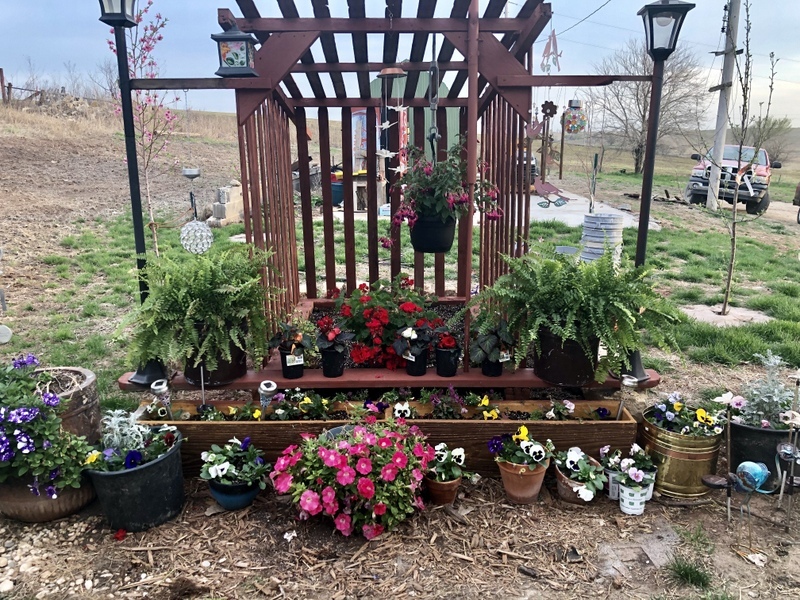 It is so quaint and pretty and will look beautiful once the vines start growing up the sides and all the flowers are in full array! !